In providing our services, Transcultural C.A.R.E. Associates utilizes several nationally and internationally known experts (“Associates”) in the field of cultural competence in healthcare and mental health care delivery. Our multidisciplinary teams of Associates come from the disciplines of nursing, public health, psychology, law, medicine, religion, and education. They represent expertise in cultural competence as it relates to such topics as health disparities, managed care, health law, global/international health, community health, English as a Second Language (ESL), health literacy, vulnerable populations (ethnic/racial minority populations, homeless, high risk-youth, immigrant communities, disabilities), mentoring and educating minority health professionals, health economics research, social determinants of health, social justice, and medical interpretation. 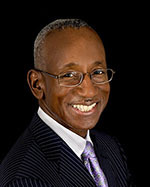 Dexter L. Campinha-Bacote, MD – Dr. Dexter Campinha-Bacote is Vice President of Transcultural C.A.R.E. 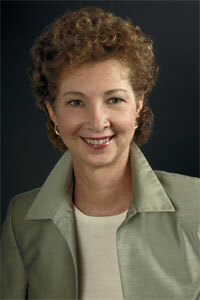 Associates and also serves as a medical director in Aetna’s Mid-America Region. He received his B.A. degree from Cornell University and his M.D. from Brown University. He completed his internship in Family Medicine at Duke University Medical Center; his residency in Family Medicine at The University of Virginia Medical Center, and an externship in High Risk Obstetrics at Baylor College of Medicine. Dr. Dexter Campinha-Bacote is a board certified Family Physician and has an interest in culturally specific services, particularly as it relates to health literacy, patient empowerment and informed health decision making, the healthcare of vulnerable populations, and the social determinants of health. He has given several keynote presentations on the topic of health literacy, including its scope and impact on cultural encounters. He defines health literacy as understanding the language of health, health care services and health care benefits and sees the process of becoming health literate as a two way process. Dr. Dexter Campinha-Bacote maintains that health care practitioners and health insurers must communicate with patients in plain language and not use medical or insurance jargon. In addition, he asserts that members must ask questions of their health care practitioners and health insurer to ensure they truly understand what they need to do to achieve optimum health and maximum health care benefits. 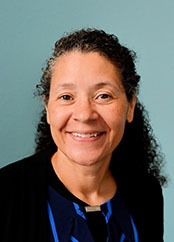 Dr. Campinha-Bacote’s publications include, “A Framework for Providing Culturally Competent Health Care Services in Managed Care Organizations,” published in the Journal of Transcultural Nursing. 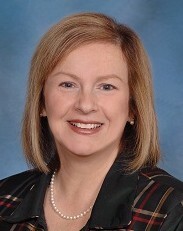 Elizabeth Moran Fitzgerald, EdD, APRN, PMHCNS-BC, LMFT (KY), LPCC (KY), C-TEFL– Dr. Fitzgerald is an Associate Professor of Clinical Nursing at The Ohio State University. She received her B.S.N. from the University of Kentucky, M.S. from The Ohio State University, M.Ed. in Vocational and Community Counseling and Ed.D. in Counseling and Student Personnel the University of Louisville, where she also completed a post-Masters certificate in Marriage and Family Therapy. Dr. Fitzgerald has given more than 30 regional, national, and international presentations on issues concerning transcultural health care and has published articles in this specialty area. She has also worked with Academic Writing Centers, International Scholars Conversation Clubs, Public Libraries, and Nursing Faculty to design strategies to attract and retain nursing students who are English Speakers of Other Languages. She collaborated with Dr. Campinha-Bacote in the psychometric testing of the Inventory for Assessing the Process of Cultural Competence Among Healthcare Professionals – Student Version (IAPCC-SV). She has experience in the development and sustainability of grassroots community outreach and engagement programs in Latin America and the mid-western U.S.A.
Avonté Campinha-Bacote, Esq. – Attorney Avonté Campinha-Bacote is the founding member of Campinha Bacote LLC and also serves as Transcultural C.A.R.E.’s legal counsel. He received his law degree from The Ohio State University Moritz College of Law and received his BA in Economics and Spanish from Denison University. He focuses his practice on all types of civil litigation, including entertainment law, civil rights, and disability rights. Prior to forming Campinha Bacote LLC, he served as general counsel for Transcultural C.A.R.E. Associates. Previous to that position he worked at Thompson Hine LLP, one of the nation’s largest law firms. During his legal career, Mr. Avonté Campinha-Bacote has been fortunate enough to work with several celebrities, as well as having the honor of being selected to serve on President Barack Obama’s 2008 Ohio Legal Team. He is also fluent in Spanish, and his law firm frequently advocates for the Hispanic community in all types of matters. He has been a lecturer on several topics, both legal and healthcare related, including a recent presentation titled “Legal Ramifications of Cultural Conflicts in Clinical Practice” at Norton Healthcare in Louisville, Kentucky. 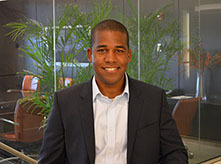 In addition, Mr. Avonté Campinha-Bacote has published in the area of cultural competence in health law, with his most current publication entitled “Extending a Model of Cultural Competence in Healthcare Delivery to the Field of Health Law,” which appears in the Journal of Nursing Law. Avrita Campinha-Bacote, MPH – Ms. Avrita Campinha-Bacote is an experienced public health researcher with expertise in developing culturally sensitive health assessments. She received her BS in Biology from Denison University with a minor in French and her MPH from the Ohio State University with a concentration in Health Behavior and Health Promotion. She completed research on the spatial distribution of socioeconomic opportunity as determined by key variables of neighborhood health and demonstrated how segregation through public housing locations limits outcomes of occupants. These findings were used in conjunction with work from the Kirwan Institute for the Study of Race and Ethnicity to provide recommendations on locations for new public housing to the Galveston Housing Authority due to damage from Hurricane Ike. 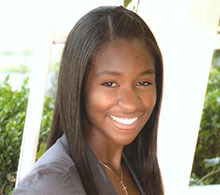 Ms. Avrita Campinha-Bacote worked as a qualitative researcher at the Ohio State University Comprehensive Cancer Center as well as at Stanford University Cancer Institute, managing several NCI-funded studies focused on cancer prevention (primarily breast, cervical, and colorectal) in vulnerable populations. In her private sector experience, Ms. Avrita Campinha-Bacote served as an outcomes researcher conducting health economics research, such as product valuation and surplus appropriation, for therapies indicated for cardiovascular disease, cancer, and malnutrition. Migdalia R. Goba, EdD, RN – Dr. Goba has spent her career focusing on improving health disparities, conducting health disparities research focusing on recruiting minority participants into research, and developing and strengthening the pipeline of minority students. She received her BSN from the American International College, a MS from the University of Massachusetts, and her Ed.D University of Massachusetts with a specialization in language, literacy and culture. Dr. Goba has served as a Senior Nurse Consultant for Health Disparities and Community Outreach; Department of Nursing and Patient Care Services, National Institutes of Health, Clinical Center. 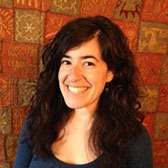 She has numerous publications, including “Exploring decision making of Hispanics and African Americans with HIV/AIDS participating in clinical trials,” which appears in the Journal of the Association of Nurses in AIDS Care, and “Increasing the pipeline of Hispanic nurses: Are we making a difference?” in the Hispanic Health Care International Journal. More recently, Dr. Goba is interested in the role of cultural competency within the home schooling arena. 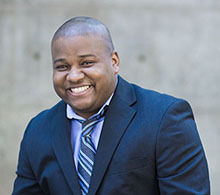 Darius Campinha-Bacote, PsyD., HSP, CGP – Dr. Darius Campinha-Bacote is a licensed psychologist at the Dallas County Juvenile Detention Center, where he is a functional family therapist and program supervisor for the Functional Family Therapy (FFT) Program. In this role, he works with youth and their families who come from underprivileged backgrounds. He received his BA in Psychology, double minoring in Social work and Women’s Studies from the University of Dayton, and a Psy.D from Wright State University School of Professional Psychology (SOPP). He is credentialed as both a Certified Group Psychotherapist (CGP), as well as a Health Service Psychologist (HSP). Dr. Darius Campinha-Bacote completed an APA accredited Internship at La Frontera Center in Tucson, Arizona, where he counseled high-risk minority youth who were transitioning to adulthood. In addition, he completed a two-year Postdoctoral Fellowship at the Dallas County Juvenile Detention Center where he co-facilitated groups and provided individual therapy. Dr. Darius Campinha-Bacote has served as the Cultural and Linguistic Competency Coordinator for a Substance Abuse and Mental Health Services Administration (SAMHA) grant in which he partnered with youth and adults to coordinate culturally competent policies designed to ensure culturally-specific interventions for transitional-aged youth from diverse ethnic and cultural background. Dr. Darius Campinha-Bacote is the author of several publications, including the chapter, “The Impact of Religious/Spiritual Beliefs on Survivors of Traumatic Events” in the textbook Spirituality and Psychotherapy. Rebecca C. Lee, PhD, RN, PHCNS-BC, CTN-A – Dr. Lee is an Associate Professor in the University of Cincinnati College of Nursing and Director of the Institute for Clinical Inquiry at the University of Cincinnati Medical Center. She received her B.S. in Microbiology from Virginia Tech and her A.D.N. from Raymond Walters College of the University of Cincinnati. She went on to earn her B.S.N., M.S.N. in Community/Public Health Nursing, and Ph.D. in Nursing Research, all from the University of Cincinnati. Dr. Lee has delivered numerous presentations at local, regional, national, and international venues, and published articles and book chapters on topics such as Appalachian culture, family homelessness, health disparities, diversity, transcultural health care, and interprofessional education. She serves on the Board of Directors of the Transcultural Nursing Society and is an active member of the National Healthcare for the Homeless Research Council. Dr. Lee has partnered with various community groups to conduct extramurally funded research projects in the areas of family homelessness, infant mortality, end-of-life care of dying children and their families, self-management of chronic disease, and immunization in at-risk communities. Based on her research and practice experiences, and using the social determinants of health as a framework, Dr. Lee has developed a course to promote the cultural competence of health professions students titled Health Issues of Vulnerable & Marginalized Populations. 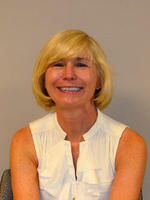 Mary Curry Narayan, MSN, RN, HHCNS-BC, CTN-A – Ms. Narayan is a Certified Transcultural Nurse (CTN) in private practice. She received her BSN degree from Cornell University and MSN degree from George Mason University, where she is currently pursuing doctoral studies. 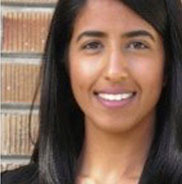 As a Home Health Clinical Nurse Specialist (HNCNS), with a special interest in cross-cultural healthcare issues and home/community-based care, Ms. Narayan provides education services, such as in-services, presentations and modules, on ways clinicians can better meet the needs of diverse patient populations. She is the Education Content Designer for Delmar-Thomson’s Online-Web Education Program on Culturally Competent Care and Telephone Triage for Home Care and has authored multiple articles and book chapters, including, “Meeting the Need for Culturally and Linguistically Appropriate Services,” In Harris’ textbook, Handbook of Home Care Administration. In addition, Ms. Narayan has presented nationally and internationally about care across cultures to audiences as diverse as lactation consultants to palliative care clinicians.